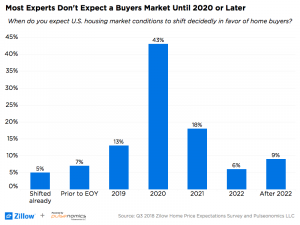 Dust off your crystal balls because everyone’s wondering what are the housing market predictions 2019. Here we’ll do our best to break down what some of the industry leaders are saying, back it up with some statistics and give our personal insight. Heading into 2019 things look a bit scary. The end of 2018 was not kind to house sellers. Prices took a dip. They always take a dip seasonally, so that’s to be expected for an end-of-the-year slow down. But this dip was 5% lower even year over year for the same time. There are a lot check marks going against the housing market. Anyone who tells you they know another crash is coming probably isn’t worth listening to. A lot of ‘experts’ have been saying there is a real estate market crash coming for the last 4 years. Prices have been skyrocketing at breakneck speeds. The key indicating factors of how hot a market is have been off the charts. Low days on market, low inventory, escalating appreciation, etc. If you want to sell a house in the last 4 years, you were in the driver’s seat. But will it continue? If the year-over-year numbers for the final quarter of 2018 are any indication; 2019 will be a great year to get a new house. There’s nothing glaring that says we will have another crash. But at the same time prices are plateauing in some markets and even taking a dip in many. Competing against the masses has been the norm over the last few years. Agents asking for your ‘highest and best’ is commonplace in this heated market we’ve been experiencing. But don’t expect that to hold for 2019. Existing home sales fell each month in the last half of 2018 with the biggest drops in two years. Even the most pessimistic polled in this Zillow survey predict more of a plateauing of the market and not a correction/crash. Sure, there’s not a sure-fire sign that says we’ll have another crash. The pure nature of a crash dictates that people are caught off guard. Or else there wouldn’t be the ‘crash’ if everyone saw it coming. The next crash doesn’t have to be specifically real-estate related. Will the country’s student-loan crisis come into play? If you’re sticking around waiting for a dip in the market to get involved. You may want to rethink that plan. Picture yourself in early 2016 considering buying your first house. This can be either to live in or as an investment. So, being a good student, you heeded their advice. Why pay for something now when you can wait for it to go down and buy at a discount? Makes perfect sense. Fast forward to present day. Three years later, where are you now? The average home price — for the whole country — in January of 2016 was $182,000. Going into 2019, we’ve had appreciation to push that number up to $220,000. The same house you could’ve bought 3 years ago you now have to pay $38,000 more for it! Even if the stars align and we have that crash you’ve been waiting for, you’d need for it to crash more than 18%. A naysayer will contest this is being results oriented. If you’re ever doing something for the long-term good of it. And you believe in the value of that over time. Then the short-term results should be irrelevant. We went to San Diego, California to interview some of the industry leaders in real estate. These are the people with the most to lose/gain by the fluctuations of the 2019 real estate market predictions. 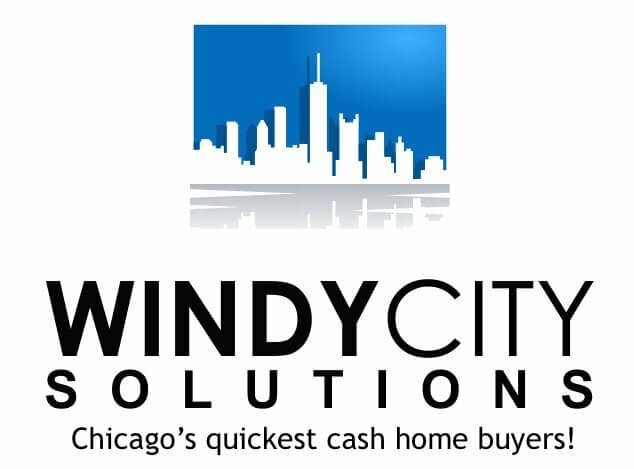 The way the markets working for us at least locally here in the Midwest right now it’s still a seller’s market. We still see people getting prices they didn’t get a couple years ago but I think it’s leveling off. I think at this point we’re looking at the peak of the market. And for us, and what we’re seeing, is that prices are leveling off just a tad. But its still very strong. People are still optimistic that they’re going to get a lot of money for the house. Seasonally for the midwest we have winter months. So in the winter months the optimism dies down a little. But I think overall we’re still in a seller’s market but I think we’re reaching the top and getting very close to the point where it’s going to hit the peak and start going in the other direction. 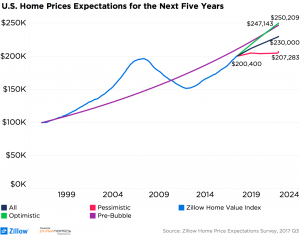 Zillow’s survey predicts it won’t be until 2020 that buyers will gain control over the market. One of the things I would consider as a motivated seller is that we are at pretty much an all-time high right now. The market has hit it’s peak. At some point it has to level off or fall. So, you know, maybe it will be a little better a year from now. But you certainly are, as a seller, getting in at a risky time. Because you always want to play the market; buy low, sell high. Well, you’re pretty close to high right now. Maybe you get a couple extra bucks if you wait. But maybe you lose a lot of money if you wait. Personally if I was a motivated seller I’d be moving between now and the next 12 months I’d be selling off. What I do know is that the market is softening a little and it’s time to watch what you’re doing. It’s hard to say if it’s softening because we had a hot run and people are getting a little nervous, or if it’s an actual softening. So it’s just time to pay attention to what you’re doing. Make sure you’re executing your moves properly; you’re in and out of projects in a reasonable amount of time, if you’re doing that kind of thing, if you’re doing investing. If you’re buying if your a real estate investor you’re watching your numbers and make sure you’re being conservative. Pay attention to what you’re doing. Watch the days on Market. I think the issues with the market are going to be more market specific, state specific, city and county specific than they are going to be nationally. So it’s going to be hard to kind of see what the indications are going to be overall. A lot of this stuff that caused the last crash I don’t see right now. I don’t see the looseness in lending I don’t see some of the speculating that I saw back then. But I do see a little bit of crazy. 2018 was a great year for us. However, with the interest rates rising I think it is slowing down at least on the appreciation a little bit. So we’ll probably see that coming into 2019. Obviously the traditional spring and summer markets I still feel very strongly about. I would just caution a little bit when you’re buying in the fall and winter markets to see where it’s going. In our market in Boise, Idaho we’re seeing a lot of –can’t build homes fast enough for people that are moving in. Development prices are rising but the cost for housing Is hitting a point to where it’s not affordable. We saw a lot of hockey stick and now we’re seeing some level off with interest rates rising we’re going to see a little bit of lower appreciation rates. But the demand is still there and the market’s going to keep going. And for the near future, don’t see any big busts coming in. Just going to be a little more mellow and flatten out. So those are the predictions. In Boise anyways, a lot of developments going on so we’ve got to put those people somewhere. How do interest rates affect housing prices? The higher the interest rates are the higher the monthly payments will be for home buyers and therefore the less they can afford and qualify for. The way the political setup is, there won’t be any catastrophic changes in the markets for the next two years. Do expect a drop off, but one that is much less dramatic than the 2008 crash. The Federal Reserve, acting separately from the government, does hold the power to adjust interest rates. They still have the problems from our last crash fresh in their minds. Their goal is to even out the economy with a yin and yang-type balance. If they see things moving down too fast, expect them to take their foot off the gas and ease up. Summary: Housing prices will NOT continue to rise in 2019. There will be a fall off, but relatively small compared to its predecessor of 2008.